I found this small "bud vase??" in a goodwill store in Bennington Vermont. 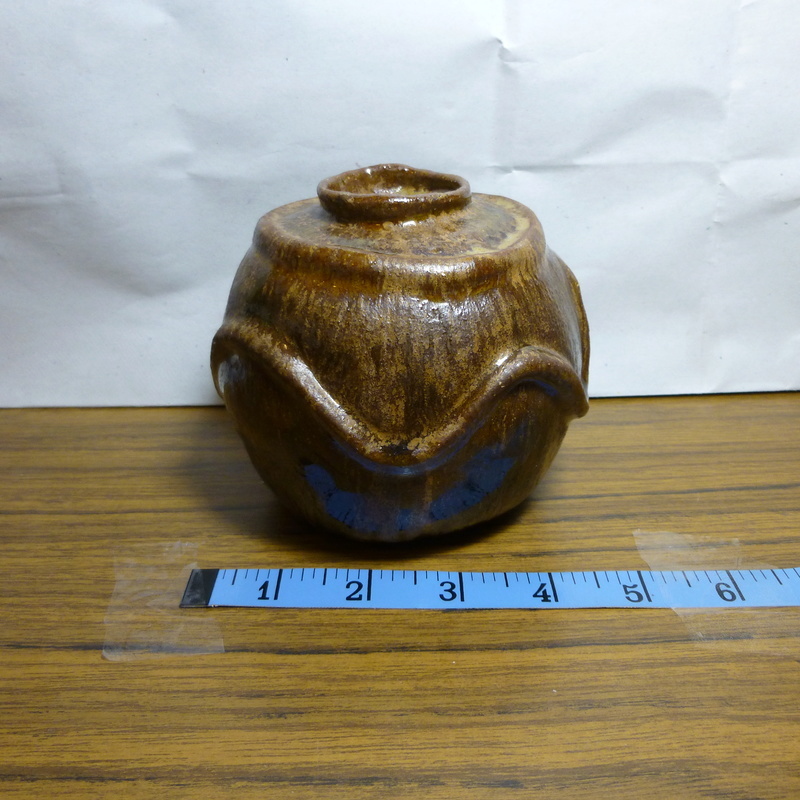 It weighs about 20 ounces, stands 4 inches high, and has a circumference of about 14 inches. 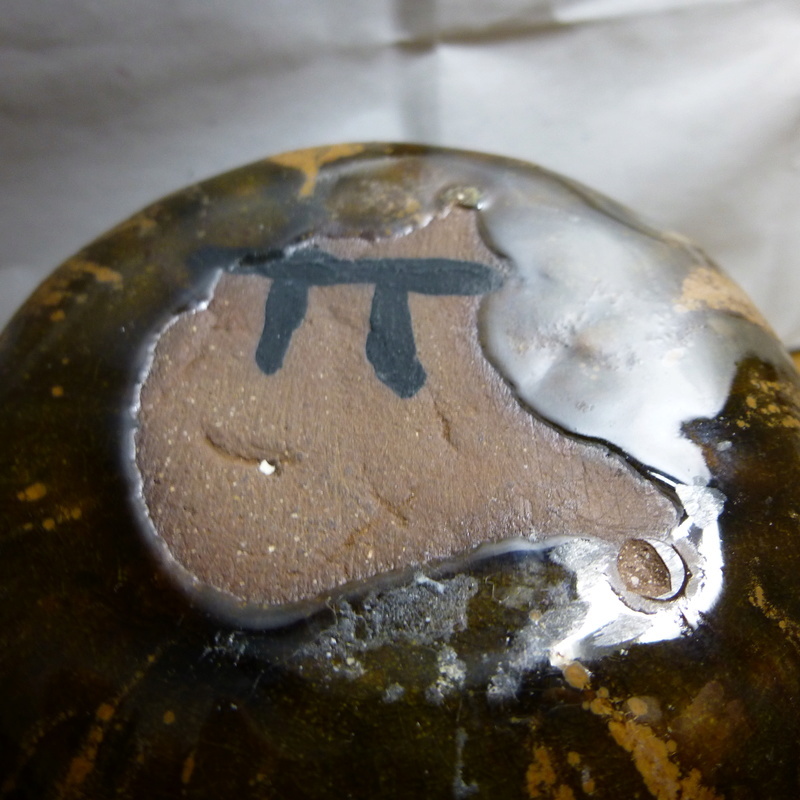 The bottom has a makers mark that looks similar to a Pi symbol...part of the mark is covered by the glaze, however you can see it through the glaze. There is also a cross etched into the bottom. 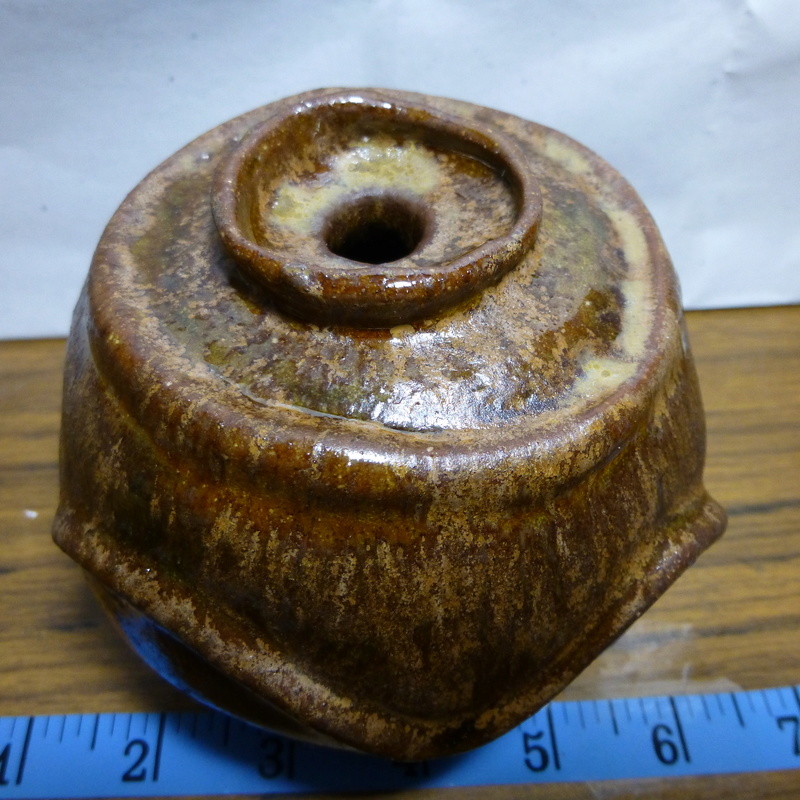 In doing some research I think it is red clay, with ash drip glaze. Not sure as I am an absolute novice when it comes to pottery. I am not even sure if this is 20th century...so sorry if I posted in the wrong forum. Does anyone know what this is and who made it? Please see pictures. Just added pictures in post below. It looks very much like an amateur/hobby potter. The top edge of the cover is not very good, as is the top edge of the pot itself. 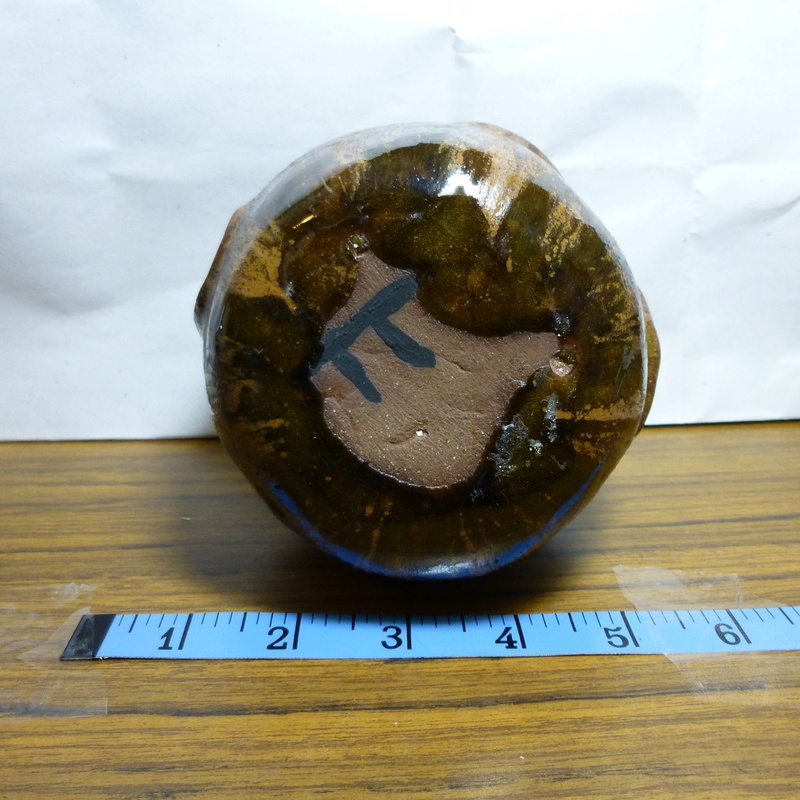 The glaze has overrun badly, the form is slightly off, and at 20 ozs for such a small pot that is very clunky. I see you’re in Canada so the ‘Leach’ standards of U.K. pottery don’t apply, which our British members tend to forget. But, saying that, I’m afraid I don’t recognise the mark.